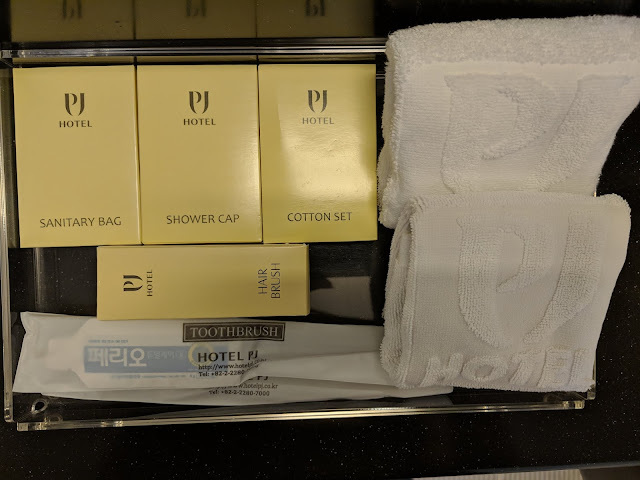 Hotel PJ Myeongdong simply blew my mind away with its impeccable service and value for money perks. 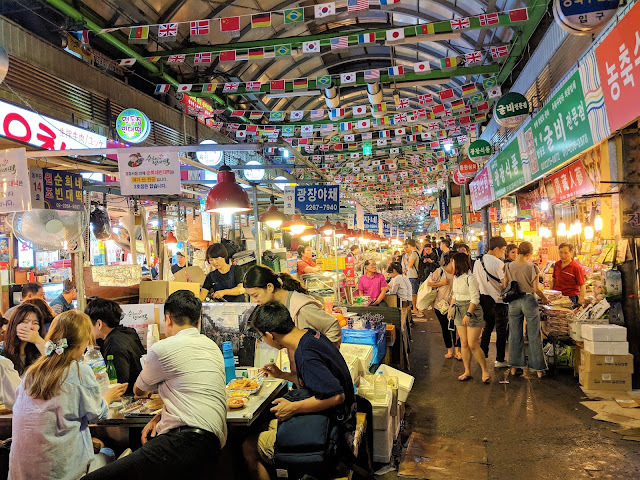 Myeongdong is a major shopping and eating area in Seoul for you to explore. 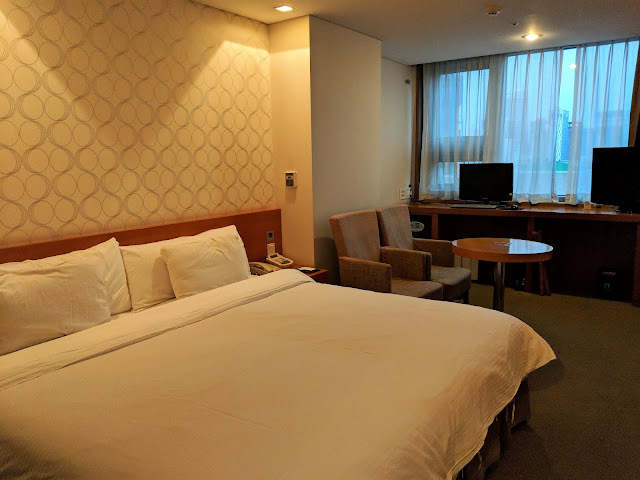 It was my first time travelling to Seoul on my own so I needed a hotel that made me feel good, safe and most importantly, affordable. I will share with you the reasons why I highly recommend Hotel PJ Myeongdong. For a decent hotel in Myeongdong, I paid around $100 per night during off peak. 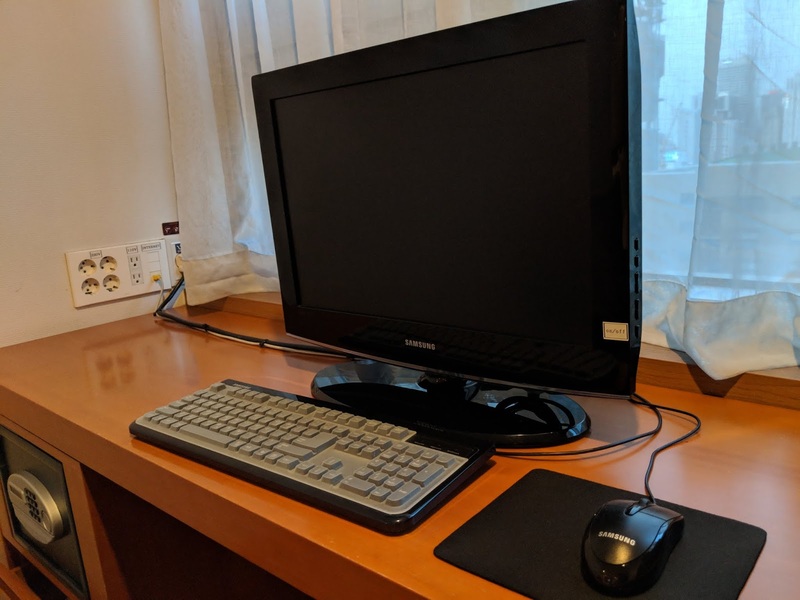 In December, Booking.com is offering the room at S$111. You can check out the offer here. The most important factor when considering a hotel is its room. 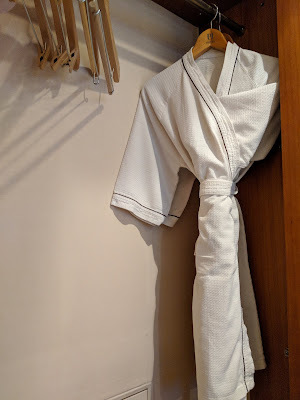 A good hotel room ensures that you have a good rest. A good sleep directly affects your mood, health and the quality of travel. Hotel PJ room exceeded my expectations with its comfortable bed, atas ambience, clean toilet, bathtub and even a desktop. Most importantly, the hotel gave me good vibes and I slept like a baby every night. For the price that I paid, I did not expect a desktop. This is definitely a plus point for me since I need to write about my travels and I usually do not travel with my laptop. 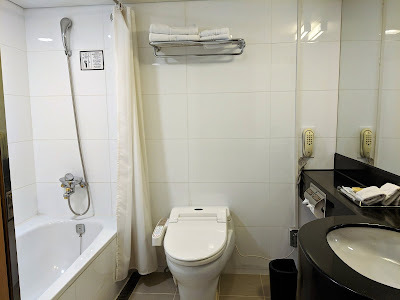 Toilets are very important to me as some toilets in some parts of the world will give you the creeps, agree? The toilet at Hotel PJ was very clean and brightly lit. 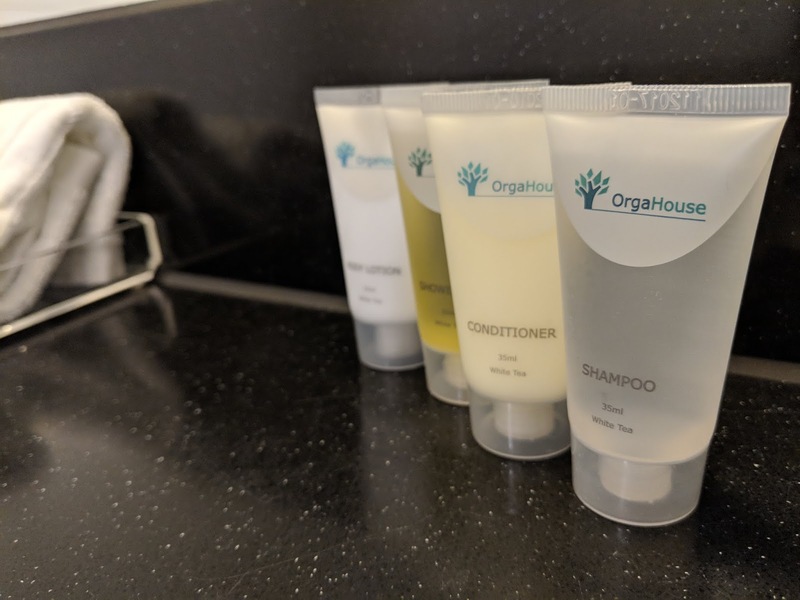 The toiletries from OrgaHouse smelt so good that I felt relaxed whenever I was taking a shower. There were shampoo, conditioner, shower gel and body lotion. Perfect! 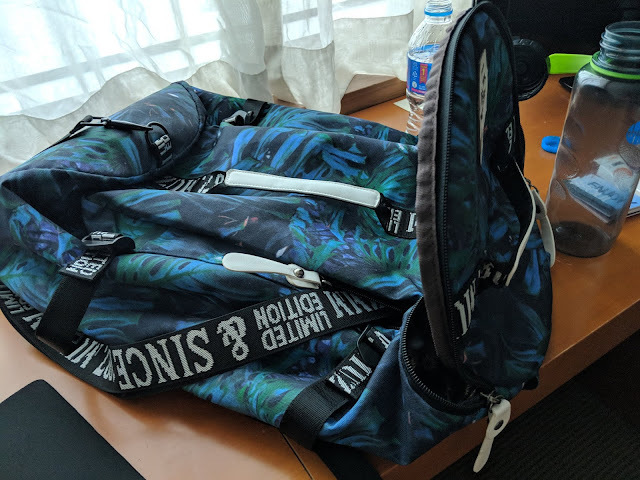 I travelled using this backpack from Muzmm for my short trips. It is durable and can double up as a sling bag. I also like it because it has a storage compartment for my laptop. It is available in many beautiful designs. You can check them out here if you are searching for a beautiful backpack suitable for short trips. Use discount code: MYPINEAPPLEDAYS for a 20% off. 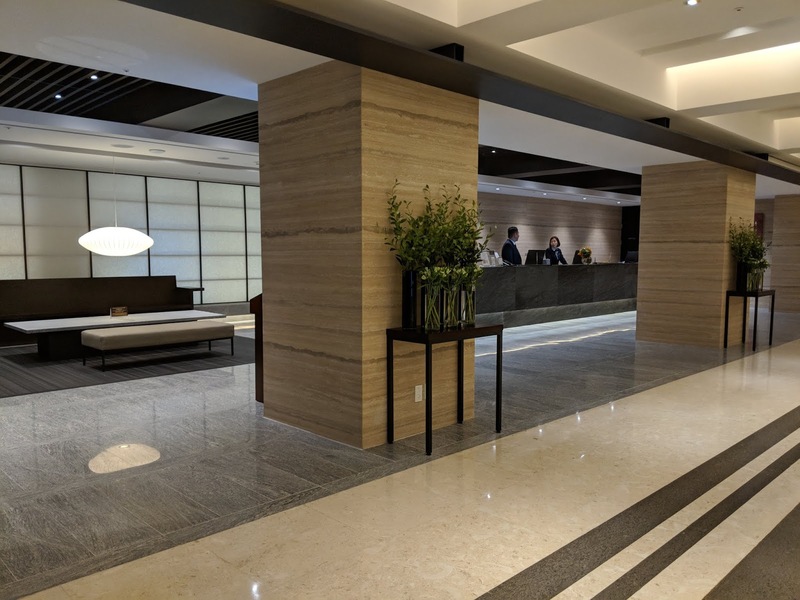 The second most important factor of a good hotel is its location and accessibility. There is a direct Airport Limousine Bus 6001 or 6015 from Incheon International Airport. 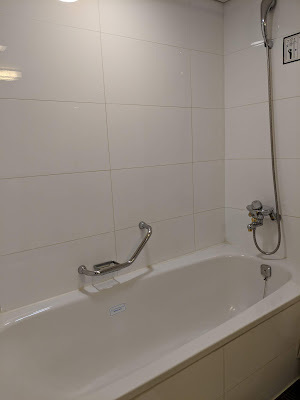 It is very convenient as the airport bus stop is less than a 5 minute walk from the hotel. The airport bus is very comfortable and affordable. 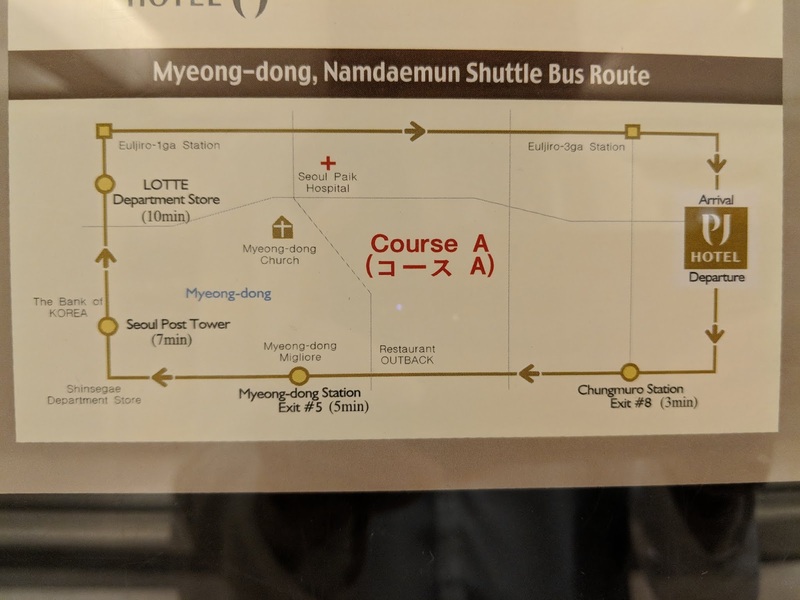 Hotel PJ is also very close to the subway stations that connect to most of the important sightseeing spots in Seoul. 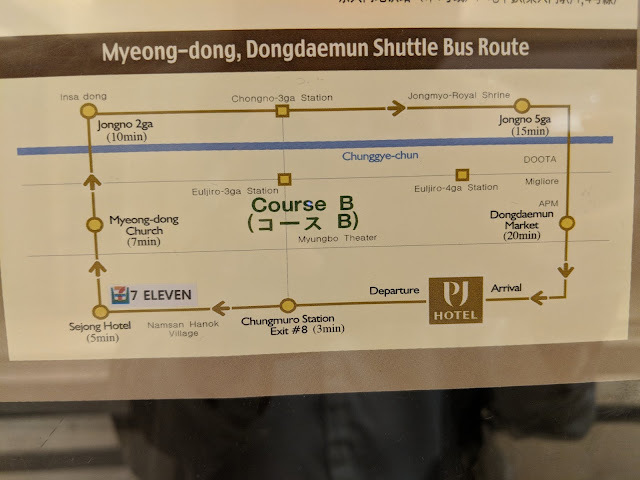 Euljiro 4-ga (Line 2 and 5) and Chungmuro (Line 3 and 4) subway stations are both a 5-minute walk away. 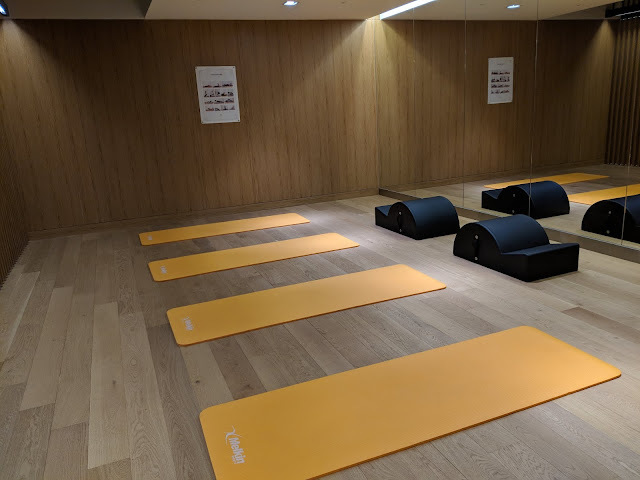 The gym was very spacious and it had trendy equipment for toning as well as a Yoga room for guests to stretch and relax. 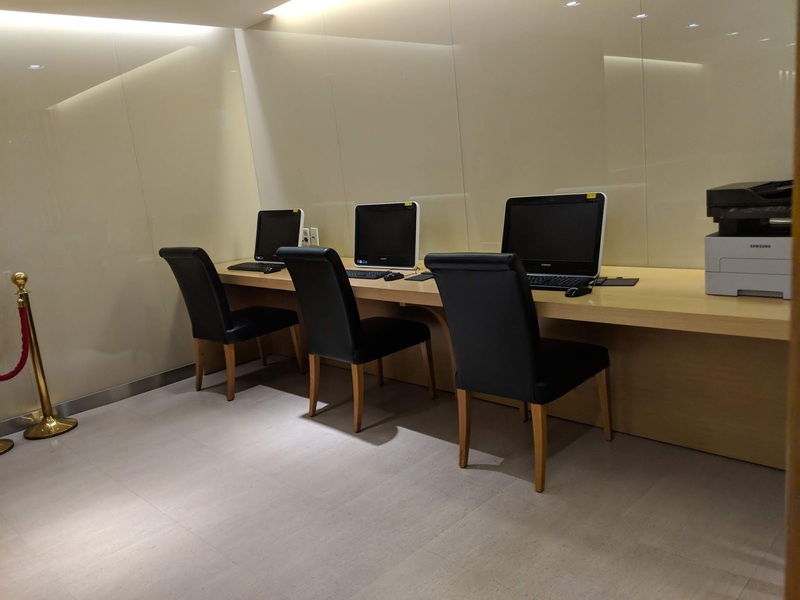 The business centre was also spacious and it had a few desktops. The printer also enables guests to print their boarding passes. Nowadays, it is very important to be able to do your online check in and if possible, print your boarding passes. Some airlines have shorter queues for travellers who have completed their online check in. The service provided was very thoughtful. 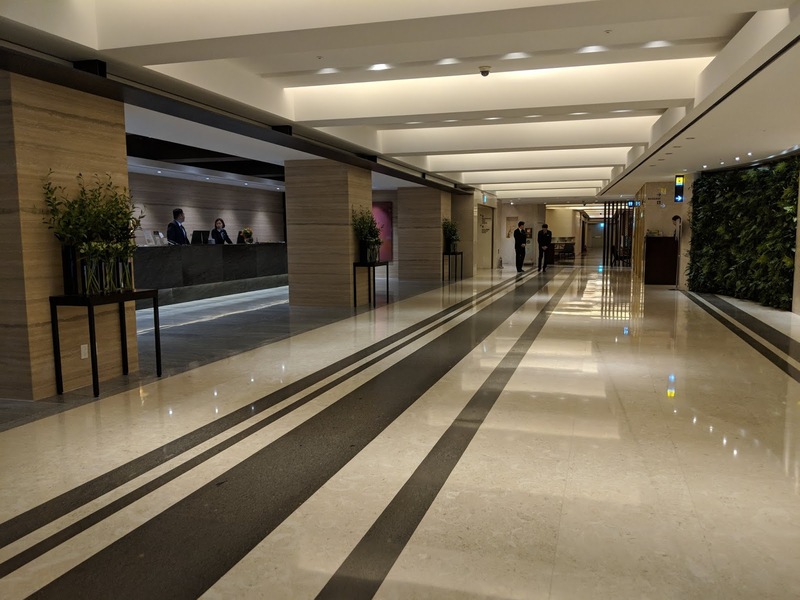 The moment I stepped into the hotel, the staff at the front desk were very polite and most helpful. 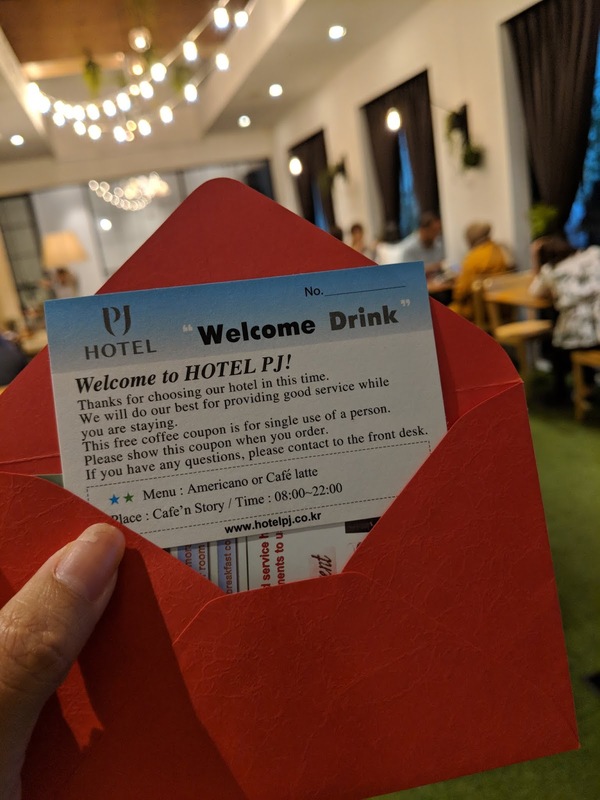 There were also excellent lounges for guests to rest and have complimentary drinks to unwind. 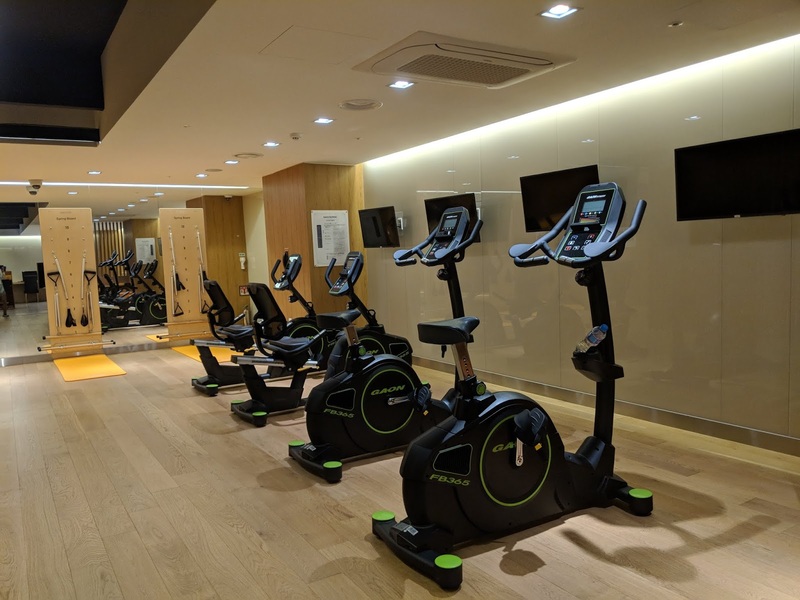 Hotel PJ Myeongdong provides booking of tours. 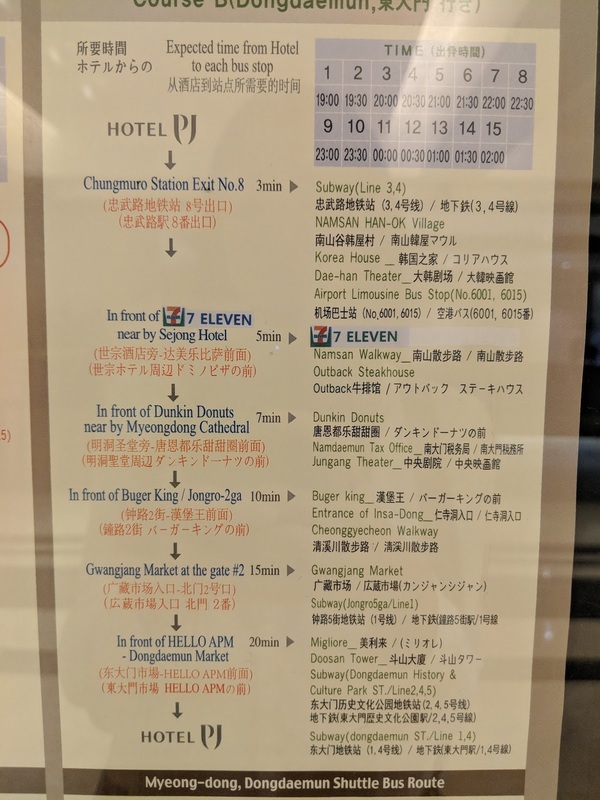 Make sure you check with their staff and get the travel guides with the various tours available. It also provides a 2 Day 1 Night trip to Jeju. 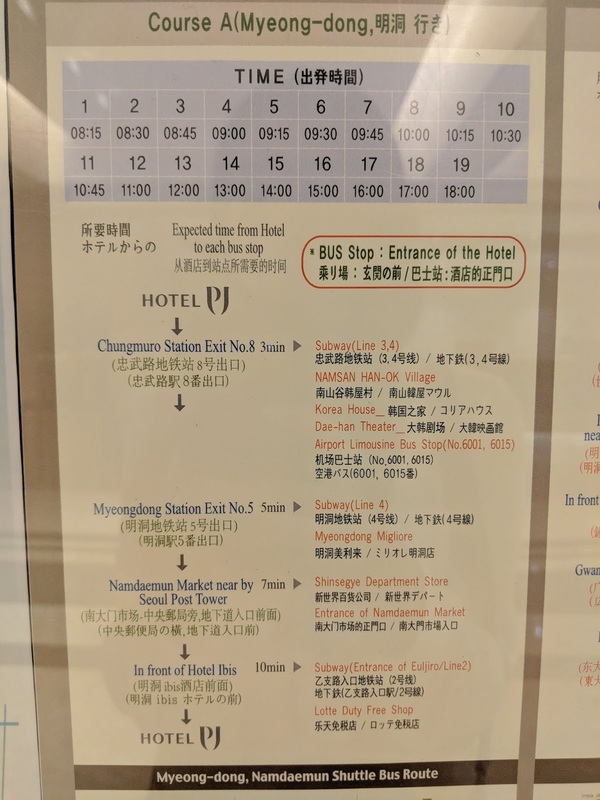 There was no day trip to Jeju. 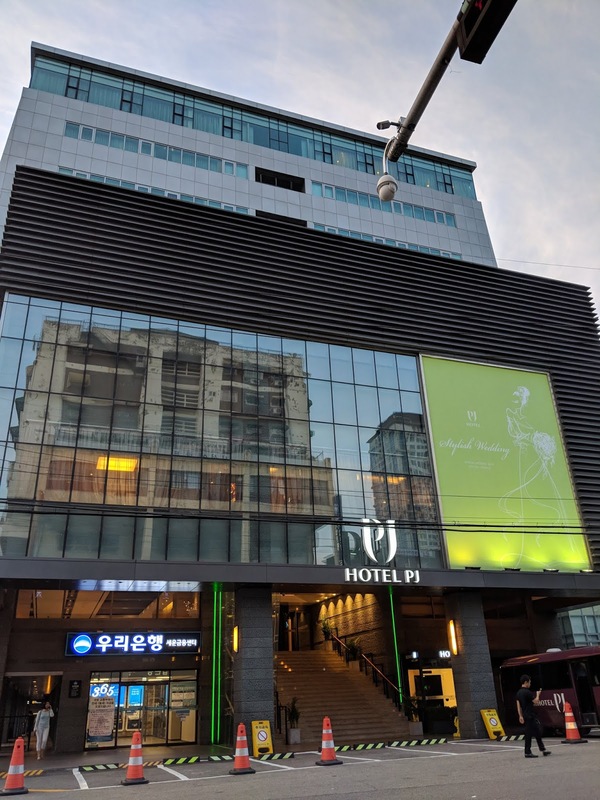 If you plan to go Jeju, you could book the short getaway from Hotel PJ. I booked my DMZ tour through Hotel PJ in order to explore the border between North and South Korea. This tour is a must for tourists to understand the soul of Korea. I was pleasantly surprised to receive a complimentary welcome drink at the cafe located in the hotel. 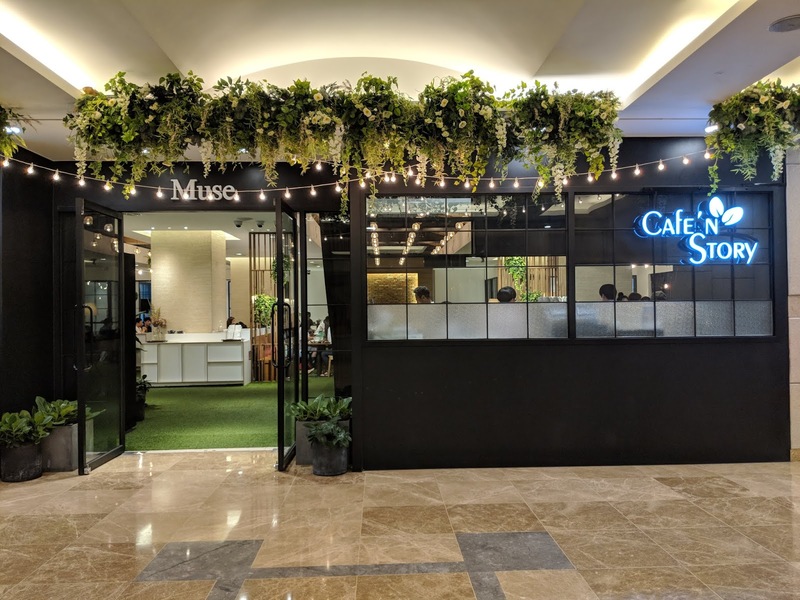 The cafe was beautiful and the coffee was good. 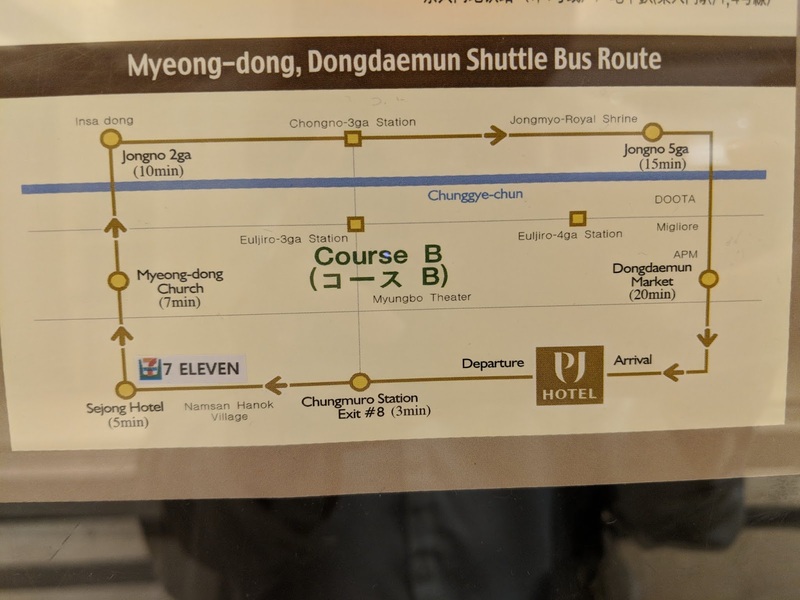 Although Hotel PJ is near the subway stations, it provided complimentary shuttle bus services to various important touristy spots in Seoul. 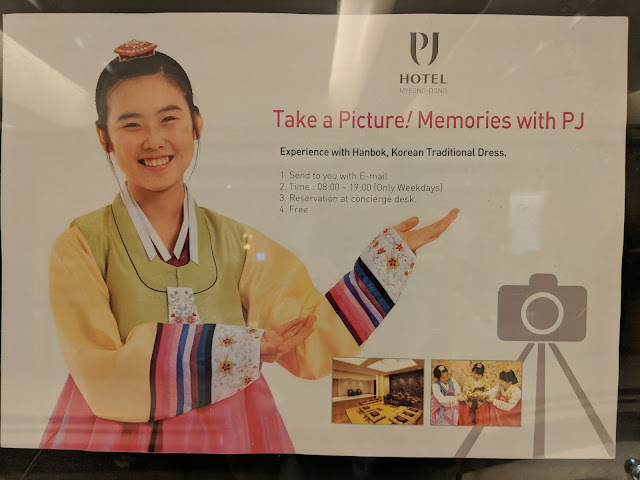 In Seoul, it is a common sight for tourists to rent the beautiful Hanboks at sightseeing spots. A Hanbok is a Korean traditional dress. 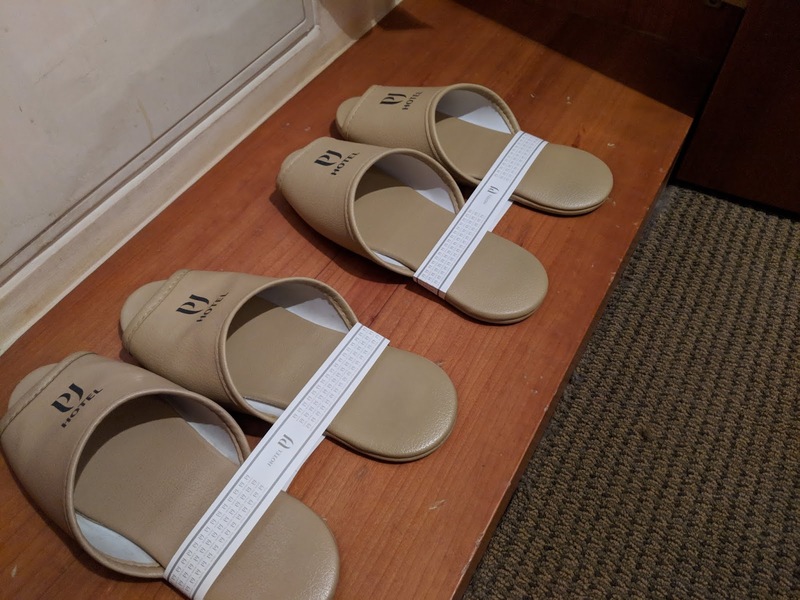 Koreans still wear them on important occasions. I was over the moon as I did not want to spend money renting Hanboks but I wanted to try one on very much. 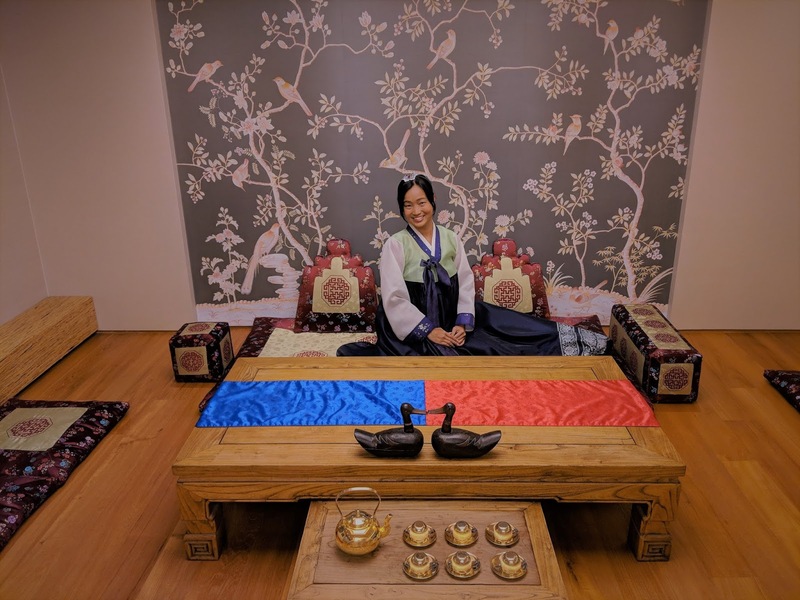 The staff in charge of the Hanbok experience was very patient and sweet. 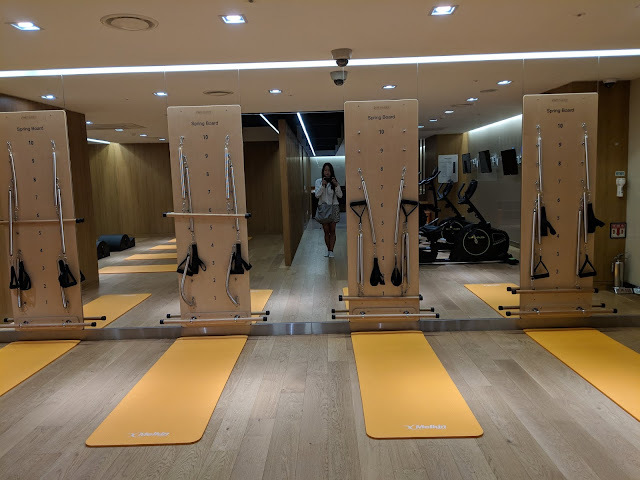 She shared with me that she was from Japan and was studying in Korea before her hotel stint. She led me to a room that looked like a professional studio. I chose my Hanboks and changed in a nice dressing room. She also handed me some headgear to go with the dress. I was glad that I brought along a hair tie so that I could mimic the traditional look. She helped me take pictures and was very patient with my weird requests to take from high angle so that my chin would be sharper. I finally wore a Hanbok! Hotel PJ is also located very near supper spots. Many Korean restaurants opened till late around this area. 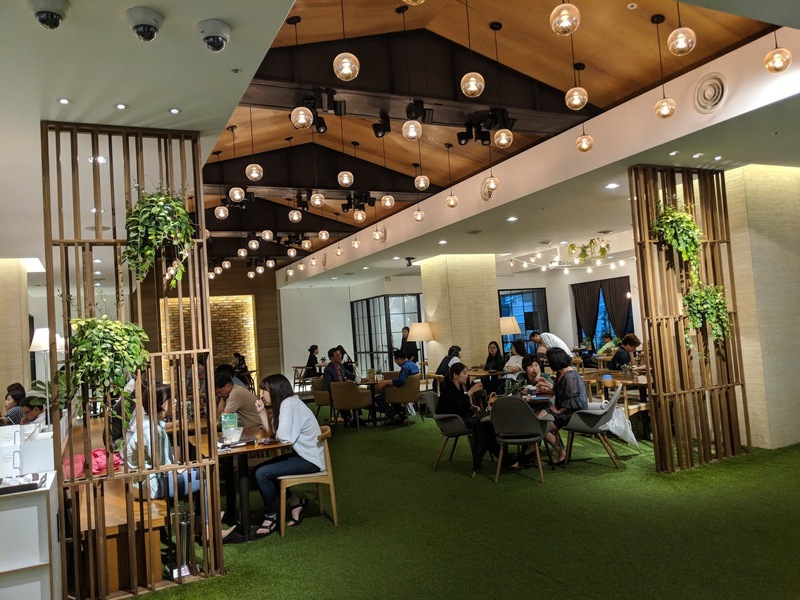 I dined a few times at a particular Korean restaurant just opposite the hotel as the food was delicious and cheap; the boss could speak Mandarin and it opened till midnight. The delicious beef soup in the picture cost around S$8 with side dishes like Kimchi, green salad and black beans. The sides dishes changed everyday. The lady boss was very nice. 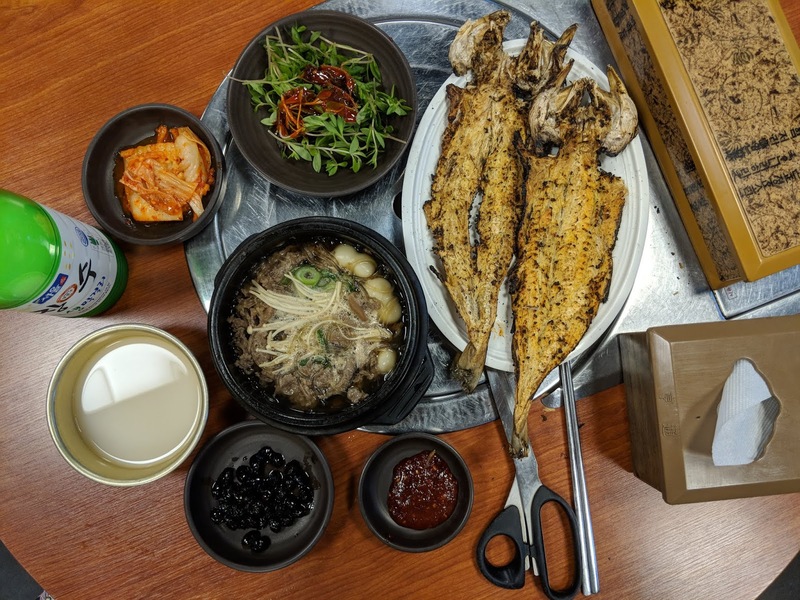 She dissuaded me from ordering the dried fish as she said that it was an acquired taste. I saw many Koreans eating it with beer or rice wine so I wanted to try it too. She was right. In order not to waste, I tried my best to finish. 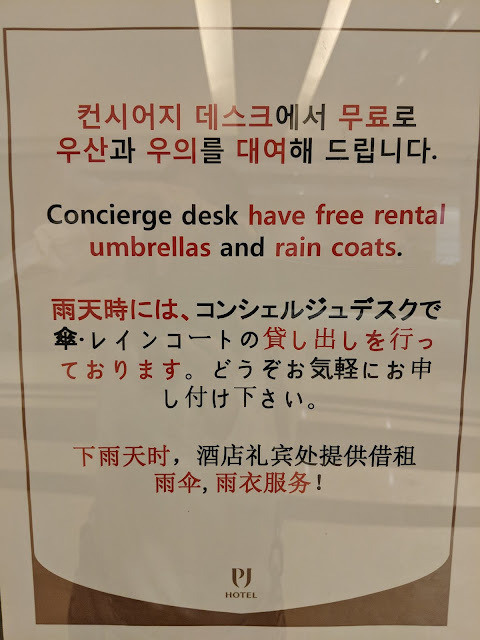 I am ending this post with a picture showing Hotel PJ offering free rental of umbrellas and raincoats. Sometimes a thoughtful gesture does not necessarily need to cost a fortune in order to touch a heart. Small things count and they go a long way.